The Green Party’s top three target seats are Brighton Pavilion, Bristol West and Norwich South. The main opponent in each of these contests will be the Labour Party, so Greens need to show how our policies are visionary, well thought-out and credible. Hopefully, these 39 points will be of some use to Green Party canvassers on the doorstep. What about the non-family (i.e. single people’s) finances of all of the people who have been thrown OUT of work by the Liberal Democrat-Conservative government in the last five years? Do they get a mention later? The Green Party will reform the benefits system, end workfare and sanctions, double child benefit and pay a pension that people can live on. In the longer term, we will unite tax and benefits in a Basic Income system covering everyone. Are they far less anxious now they will have £18,000 debt rather than £27,000? A 4% business tax would make higher education free for all. Why won’t you do it? The Green Party will end tuition fees and cancel student debt. But aren’t you going to continue to cut money from local authorities? How then can we continue to deliver strong public services? The Green Party will increase public spending to almost half of national income. The Green Party will fund local government adequately and set democratically elected local authorities free to decide how to run education, public transport and other local services and to raise local taxes. What have you done policy-wise to change this fact? You are still in favour of first past the past. You do not believe that Labour should break from their unholy alliance with big business interests, built up between 1994 and 2010 by Tony Blair and Gordon Brown. You don’t have any concrete or novel proposals for devolution of power to local authorities or allowing local authorities to raise revenue. The Green Party will bring in proportional representation for parliamentary elections. Only the 200,000 votes in marginal seats really counted in the last election – that’s less than 0.5% of those eligible to vote. We would make everyone’s vote count. I’m glad to see the Labour Party have read the Green Party’s strapline. Just “a little more”? Really? 60p rate of tax. Thatcher had higher tax rates on the super-rich for NINE YEARS of her administration than you’re proposing in this manifesto. The Green Party would introduce a wealth tax of 2% a year on the top 1% to raise about £25 billion a year by the end of the Parliament. Raising the additional top rate of tax to 60% would help bring down the maximum salary ratio in any workplace from the best paid to the lowest paid to no more than 10:1 and also act as a disincentive to paying excessive salaries. Vague, and SO much more is possible. £10 an hour before 2020 is a realistic commitment. Why so little ambition? The Green Party will increase the minimum wage so that it is a living wage. A minimum wage target of £10 an hour by 2020. What, with an advertising campaign?! You could be in government. You could actually MAKE IT HAPPEN! Great. And then what? Just let them carry on going up? The only way to reform the energy market that will have a sustainable, long-lasting impact is to bring it back down to community level. The Green Party will split up the large vertically integrated companies so that they can’t both produce energy and supply it to consumers. So if their bosses wrongfully dismiss them, they’re just supposed to starve, are they? Or should they just “go back where they came from” in that eventuality? The Green Party would review the Nationality, Immigration and Asylum Act 2002, particularly with regard of access to legal advice, childcare and levels of subsistence allowance, and reintroduce Legal Aid for reasonable levels of immigration and asylum work. This is completely out-of-step with my experience of the Labour Party over the last five years. I can scarcely believe you included this. There’s nothing in the Green Party manifesto on this. We tend to just take it for granted as intrinsic to everything we do. The Green Party will fund local government properly and extend its functions, reviving local democracy. We will provide a £10 billion a year uplift in local authority budgets to allow local authorities to restore essential local services, creating more than 200,000 local jobs. The Green Party will amend company law to ensure that medium and large companies take account of and report on the environmental and social impact of their activities, and have employee and consumer representatives on their boards. So that’s work and pensions, local government, transport and environment/energy/climate change then? Great! The Green Party will increase public spending to almost half of national income. You’ve mentioned this twice now. I let it go the first time. Is this just a dig at the Lib Dems, or a way of saying “we hate Coalitions”? Or just a “Tories are liars” thing? The Green Party will increase corporation tax from 20% to 30%, yielding around £12 billion a year in a full year. Small firms would remain on 20%. The Green Party would not support HS2 (the proposed high-speed network). The money to be spent on this hugely expensive project, which at best will reduce journey times for a few passengers, would be much better spent on improving the conventional rail connections between various major cities, improving the resilience of the existing network to climate change and reopening lines and stations that have been closed. Spectacularly non-commital. We cannot afford any more airport expansion. I guess it doesn’t really pay to have a former Environment Secretary as Prime Minister. The Green Party would stop airport expansion, in particular no new runways at either Heathrow or Gatwick, and ban night flying. Looking forward to the next “greenest government ever”? 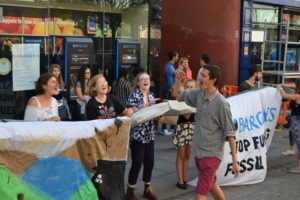 The Green Party will phase out fossil-fuel-based generation, including the closure of all coal-fired power stations by 2023 at the very latest, and will phase out nuclear power within ten years. BEFORE?! So you’re still planning to frack then! The Green Party will ban all UK fracking operations – following a growing number of nations worldwide – and withdraw all relevant licences as soon as possible. The Green Party will also ban other new fossil fuel developments such as other unconventional fossil fuels and open cast coal. Hmm…why should we worry about share price or growth potential? Small is beautiful. The Green Party will give workers a greater say in the running of their companies, including employee-elected directors in medium and larger companies. The Green Party will grant employees the legal right in certain circumstances to buy out their companies (funded by the Green Investment Bank) and turn them into workers’ cooperatives. What if they really hate the job that you’re shoving them into? The Green Party would provide more training and work experience for young unemployed people through expanding apprenticeships; specifically, provide an apprenticeship to all qualified young people aged 16-25 who do not have one and want one. No commitment to make the railways public again. This would save huge amounts of money. The Green Party is committed to bringing rail services into public ownership and control. Recent experience in running the East Coast Main Line within the public sector has show that both quality and receipts to the Treasury go up when a rail service is run in this way, whereas experience on the West Coast Main Line in the private sector shows that the franchise system is costly, wasteful and not fit for purpose. Why not just say “they can make no profits on healthcare”? Labour will not stop the privatisation of the NHS. The Green Party will end privatisation in the National Health Service, repeal the Health and Social Care Act 2012, and introduce an NHS Reinstatement Bill. The Green Party opposes the Transatlantic Trade and Investment Partnershio (TTIP). TTIP is globalisation in its worst form, designed to submit democratically elected governments to the will of private corporations. No word about ending the huge educational inequalities there are. Just a sort of bribe to keep private schools sweet. 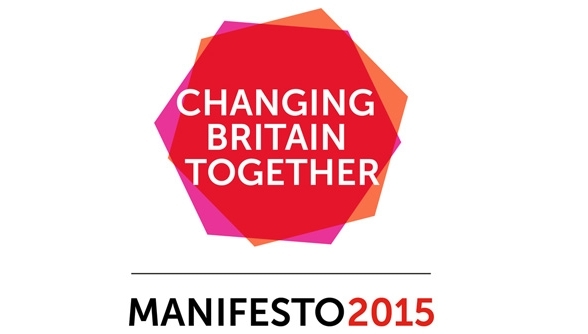 How depressing…and possibly the worst section of the manifesto. The Green Party supports the removal of charitable status from private schools, with a view to absorbing them into the state system, but nevertheless ensuring that no schools are run for profit. The Green Party would reform the private rented sector by introducing a “living rent” tenancy (including fiver-year fixed tenancy agreements), smart rent control that caps annual rent increases linked to the Consumer Price Index, security of tenancy and local not-for-profit letting agencies, and abolishing letting agents’ fees and insurance-based deposit schemes. You have done nothing to explain the reasons for this to the country or develop a compassionate approach to those who are fleeing war, persecution and danger. Why does it need to come down or be stopped? A simple question. The Green Party rejects the imposition of an arbitrary numerical cap on net migration. This is impossible to achieve (especially given that there is no control on the numbers emigrating) and leads to many individual injustices. And yet we seemingly don’t realise that criminalising these people will not deal with the root cause of their addiction. The Green Party would treat drug addiction as a health issue, rather than a crime, making drugs policy the responsibility of the Department of Health in order to ensure that resources are targeted at supporting, not punishing, drug users. “Part of”? They ARE our common home. This makes me cry. No proportional representation. No recall of elected officials. Nothing. Just a mealy-mouthed commitment to Lords reform and the obvious votes at 16. The Green Party will bring in a fair voting system involving proportional representation. Can’t you work to secure green jobs across the UK, by providing transitional training from them to other more lofty aims? The Green Party will diminish dependence on arms sales through a halt to government subsidies and introducing a struct licensing regime to prevent sales of weapons and military equipment to undemocratic regimes and those that violate human rights (including, at the present time, Israel and Saudi Arabia). The Green Party will save a massive £100 billion over the next 30 years by cancelling Trident replacement and decommissioning existing nuclear forces and facilities. Nothing on localised solutions. It’s all about international agreement is it? What about energy use, consumption, sustainable transport, food, etc. etc. etc.? 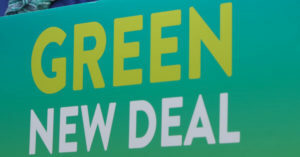 The Green Party will increase the overseas aid budget from 0.7% of GDP to 1.0% of GDP over the Parliament, costing around £6 billion a year in 2019. Aid will not be tied, and will be distributed in ways that are focused on poverty eradication, supporting grassroots initiatives, women’s rights and environmental sustainability while respecting local priorities. £10 billion a year uplift in local authority budgets to allow local authorities to restore essential local services, creating more than 200,000 local jobs. The problem is local Government is very good at creating administration and not useful front line jobs. As much as I can make out the Green and Labour policies, they’re similar. Reform the private rented sector by introducing a ‘living rent’ tenancy (including five-year fixed tenancy agreements), smart rent control that caps annual rent increases linked to the Consumer Price Index, security of tenancy and local not-for-profit letting agencies, and abolishing letting agents’ fees and insurance-based deposit schemes. – Labour wants 3 year tenancies, the Greens 5 year ones. – Both plan to limit rent increases during a tenancy to the general rate of inflation.